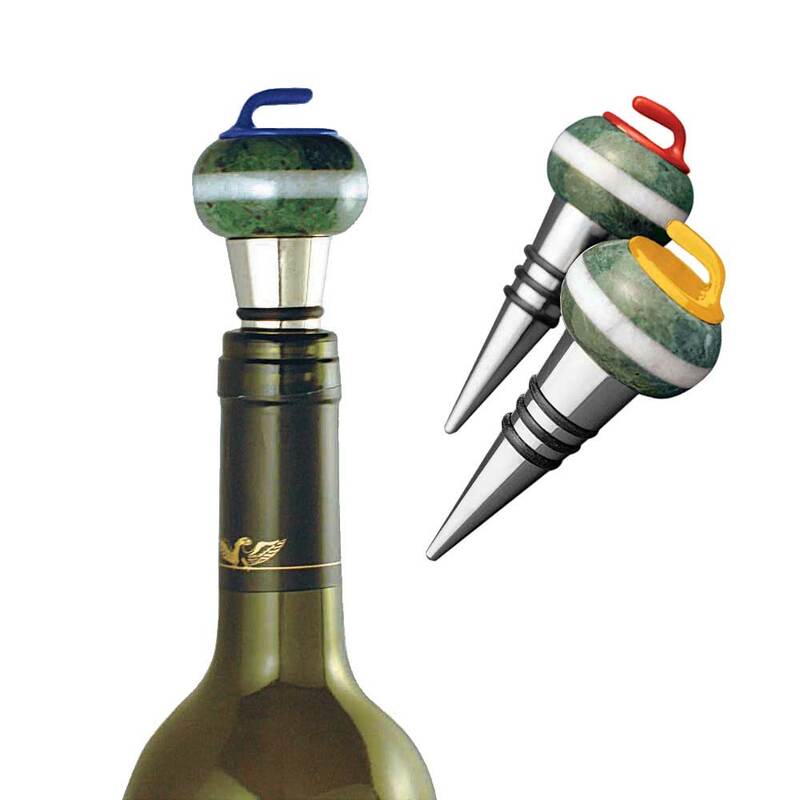 Top off that wine bottle with a unique curling rock stopper. 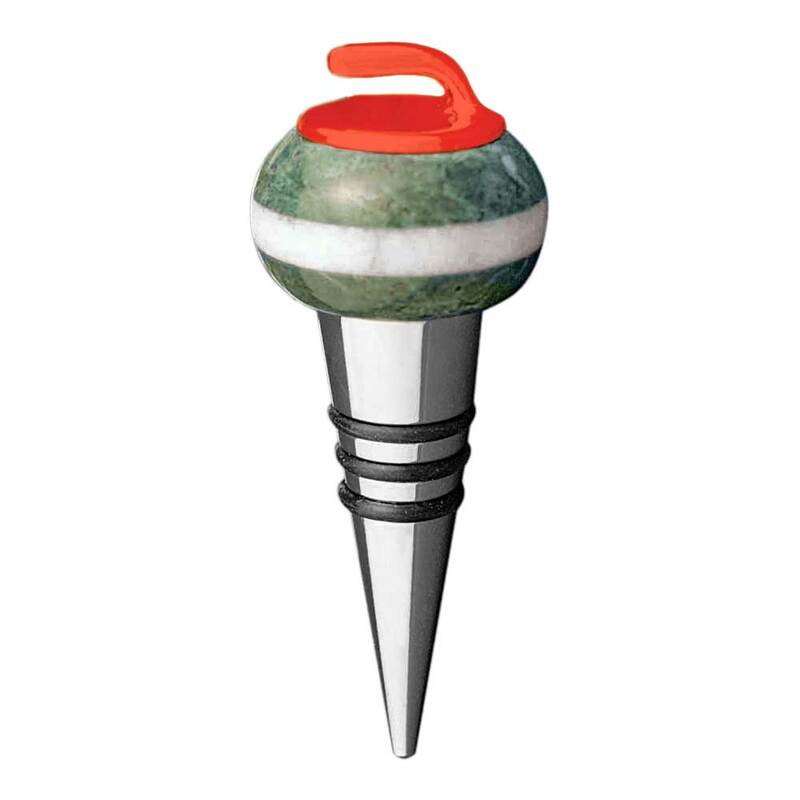 Available in a choice of 3 different coloured rock handles. 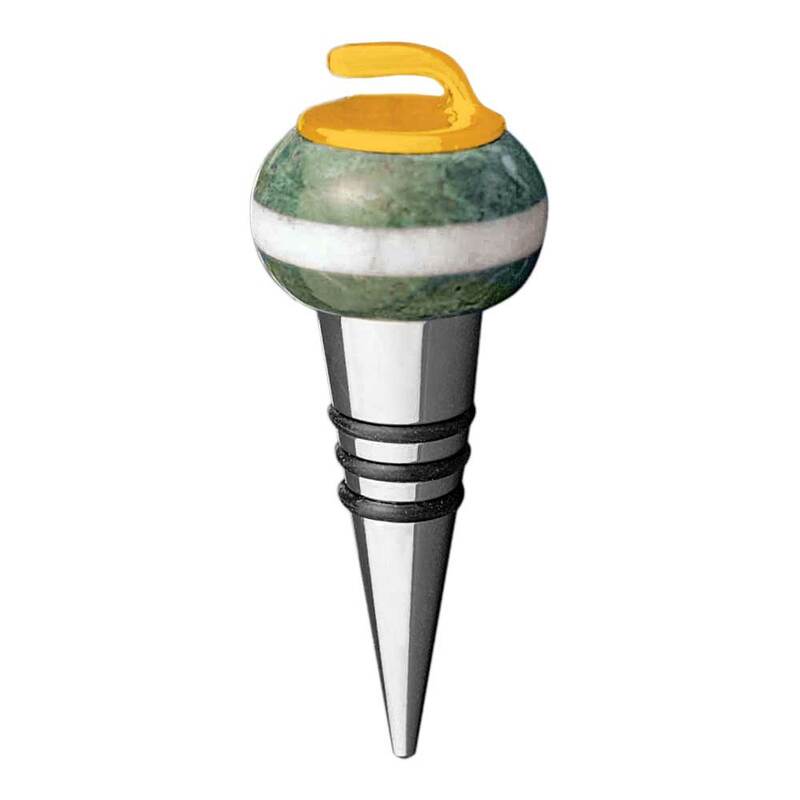 Unique realistic looking Curling Rock wine bottle stopper. A curling stone on the top with different coloured rock handles. If you are a curler or a curling fan this is a great choice for you.